A couple of months ago I went on board Royal Caribbean’s Independence of the Seas in Southampton for a day visit. Some of you will have read my review of the ship, which covers most of the main public areas. 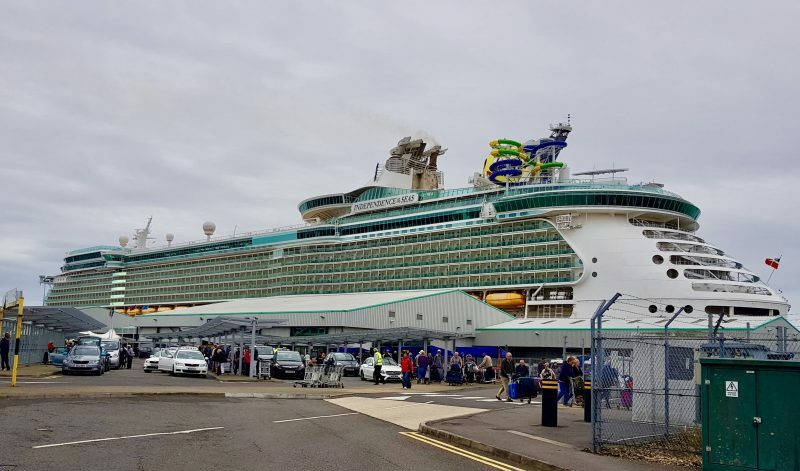 The lovely team at Royal Caribbean recently invited me back on board for the day and I was allowed to take along my husband and a couple of friends. 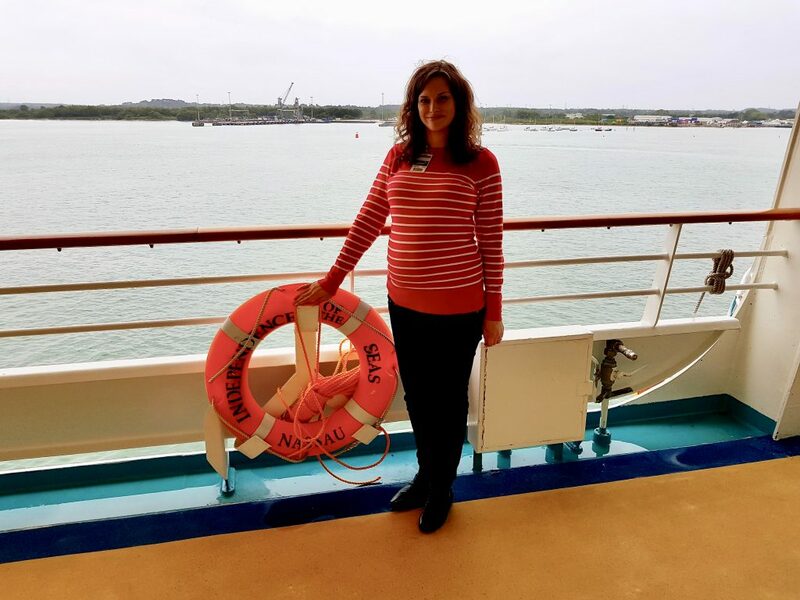 I was keen to see how my second experience of the ship differed from the first, keeping in mind that this visit took place outside of school holidays and the weather was cloudy and much colder than it was in June. This time around the passenger base was much older than when I visited in June. There were far fewer children on board and I would say many guests were aged 50+. The interior of the ship was fairly busy because the weather wasn’t very good, which meant that the outside deck space was quiet (the opposite to how it was in June). The only issue we faced was trying to find a bar that would seat four of us, just after lunchtime. The bars were all very busy, so we did struggle to find a quiet spot. 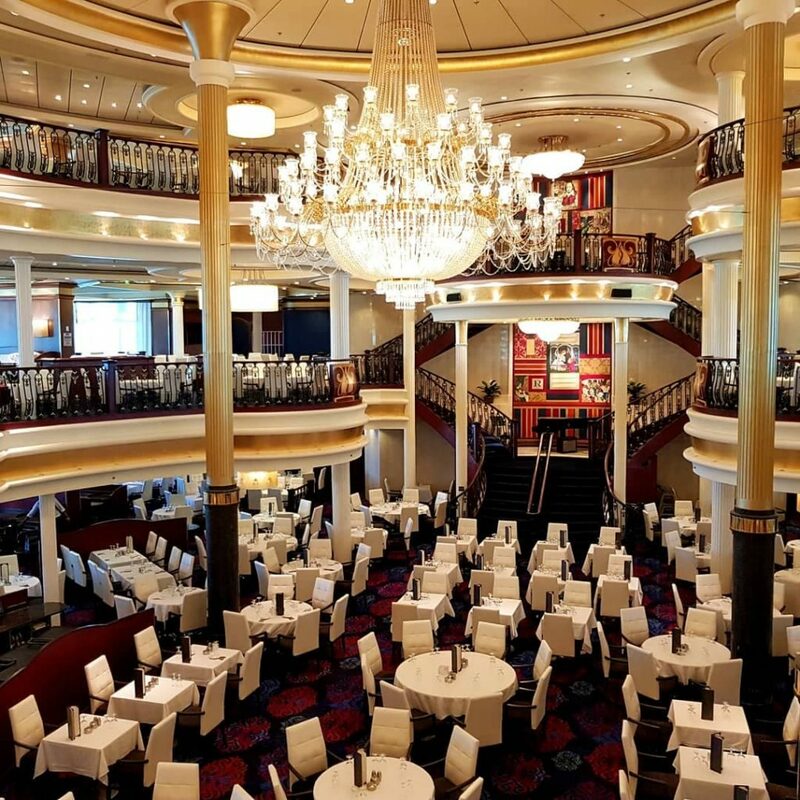 Indy’s restaurant certainly has the wow factor, with its magnificent chandelier and three tiered seating levels. We ate on the lower tier and were given a menu with three starters, three main courses and three desserts to choose from. I ordered mushroom soup, salmon and a sugar-free dessert. 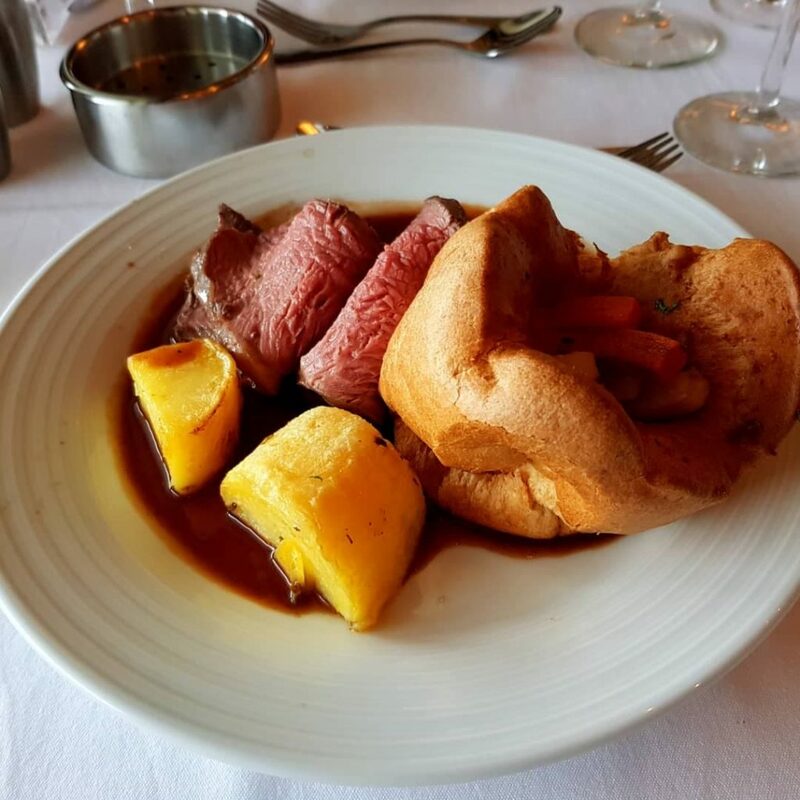 My husband and friends had the roast beef, which they said was delicious. I was really impressed with the quality of the produce, the portion sizes and the flavour of each course. 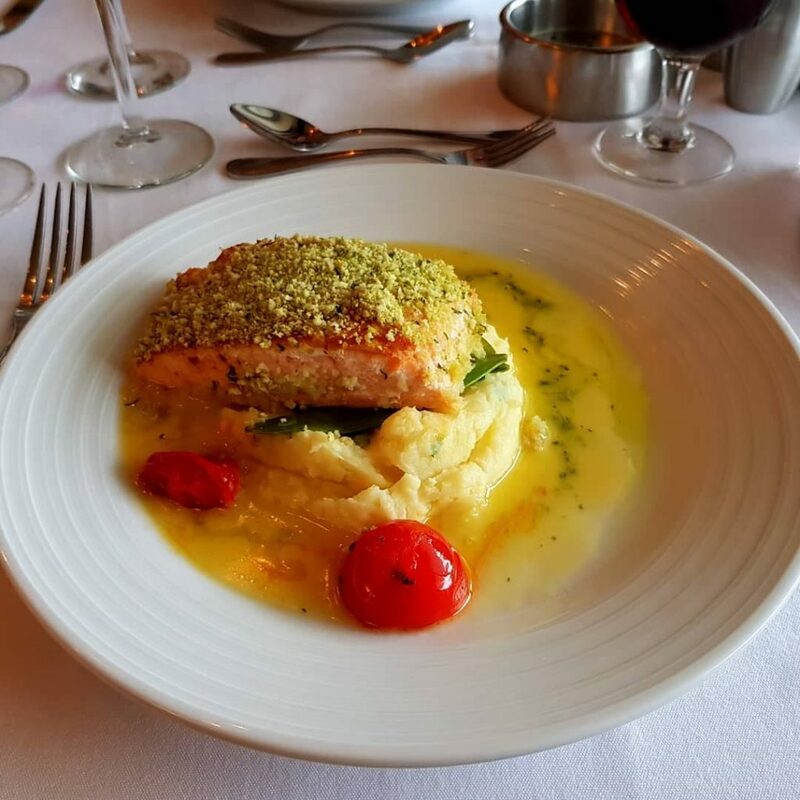 The meal was one of the nicest I have ever had in a cruise ship restaurant, across any brand. I was also impressed that there were sugar-free, gluten-free and dairy-free options available if you asked for them. 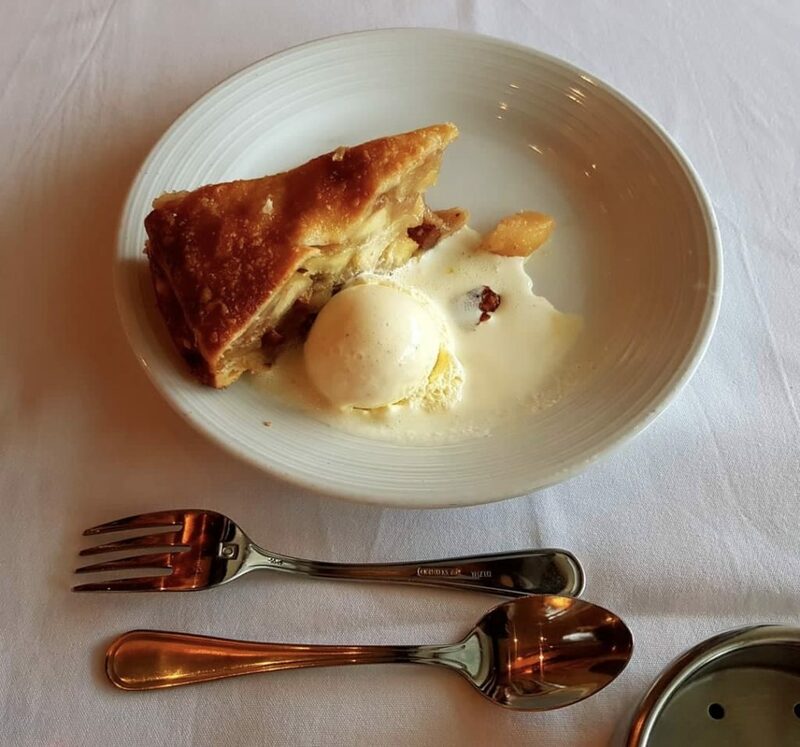 The waiters had no trouble getting my dessert and I didn’t have to wait long for it. 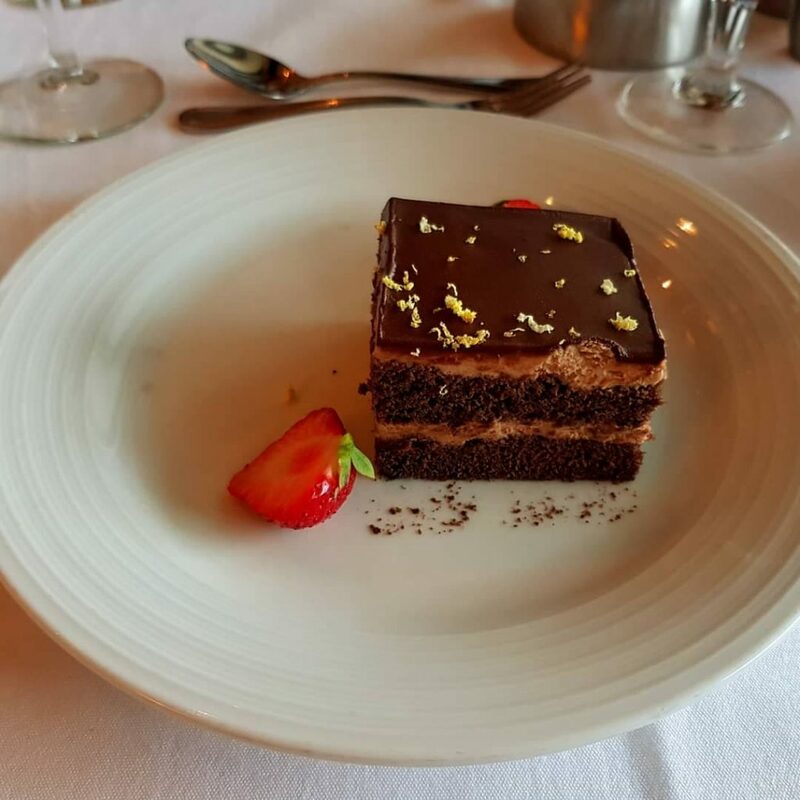 Last time I was on board I ate in Chops Grille, but with the high standard of the restaurant food, I would be happy eating in the main restaurant every night. Last time I was on Independence of the Seas we had a look at some of the suites, which were very nice. But I really wanted to have a look around some standard staterooms, as we would be more likely to stay in one of these on a cruise. 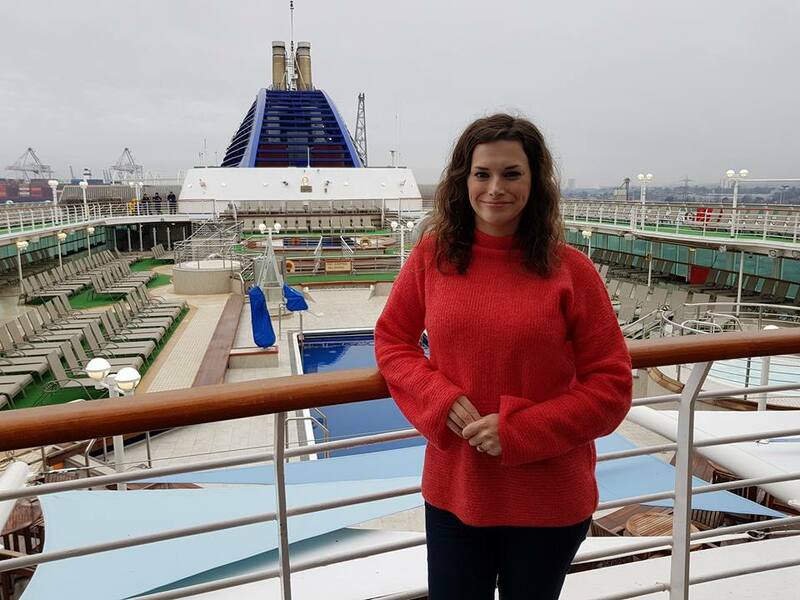 We were shown a number of different types of stateroom, including inside and balcony grades. All staterooms were a good size, with plenty of room to move around and decent storage space. 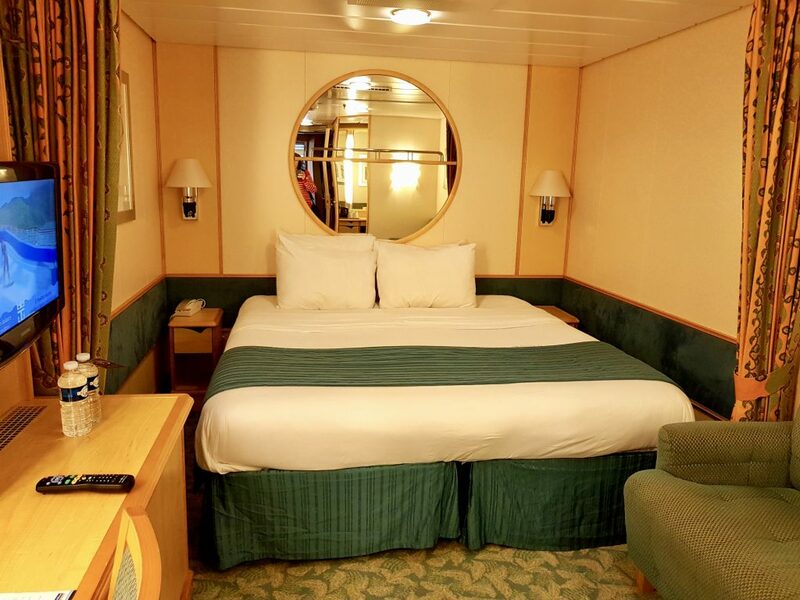 Indy’s interior and balcony staterooms feature twin or king beds, a television, fridge, minibar and bathroom. 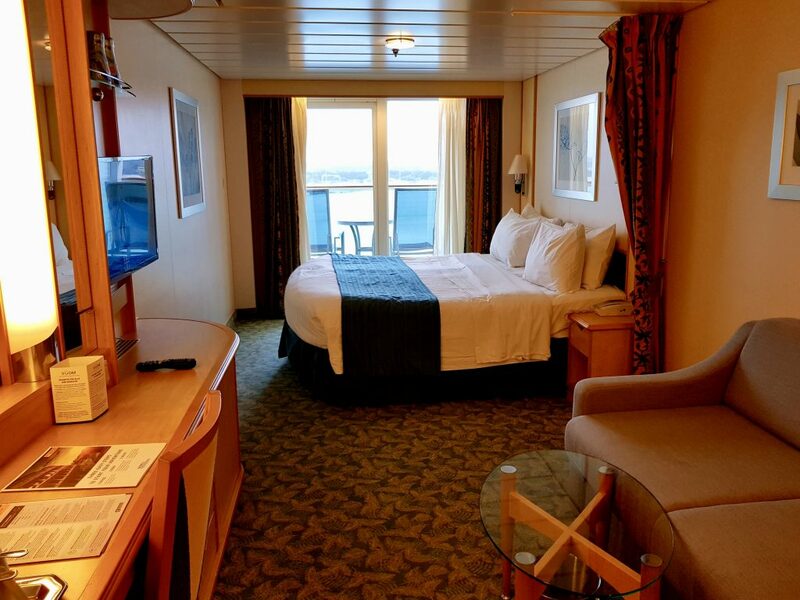 Balcony staterooms also have a separate seating area. The décor of the rooms we saw was neutral but, as the ship is a few years old, don’t expect everything to look ultra modern like on the newer Royal Caribbean ships. 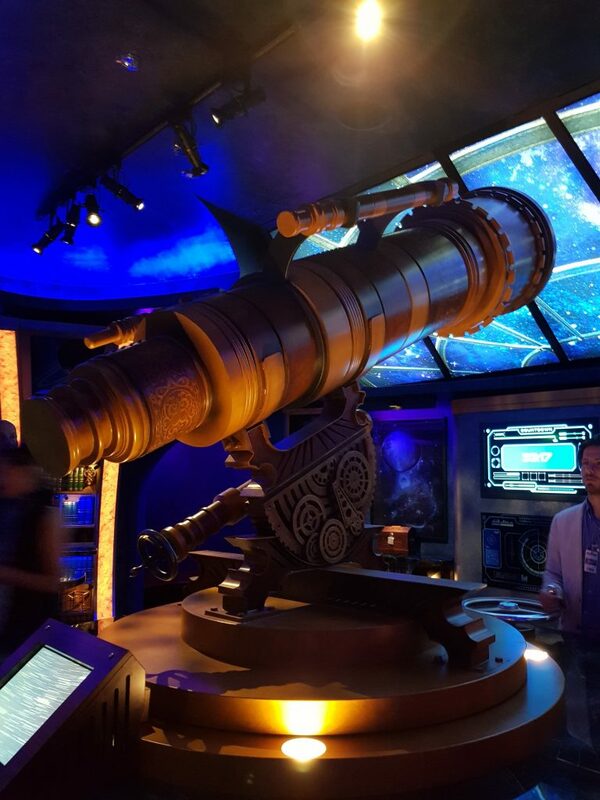 The Escape Room/Puzzle Break/Observatorium is tucked away on deck 15. 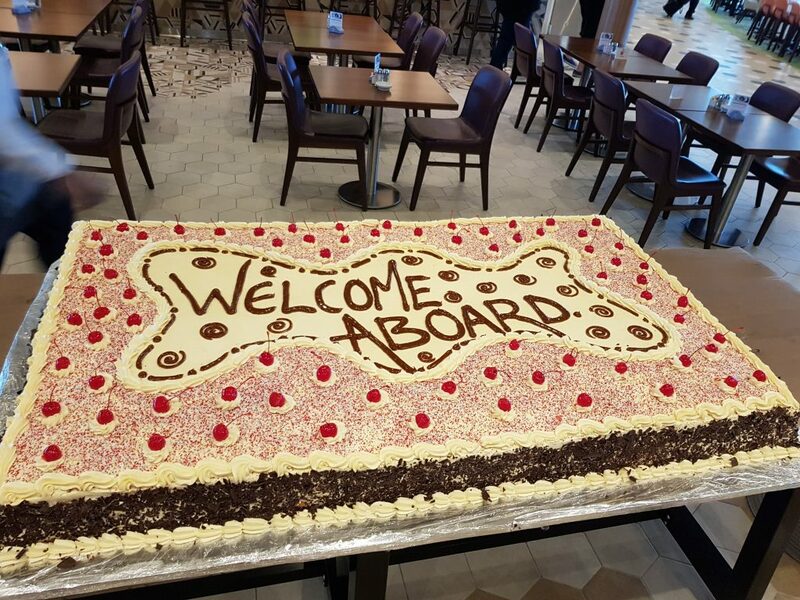 This was a new addition during the ship’s recent refurbishment. 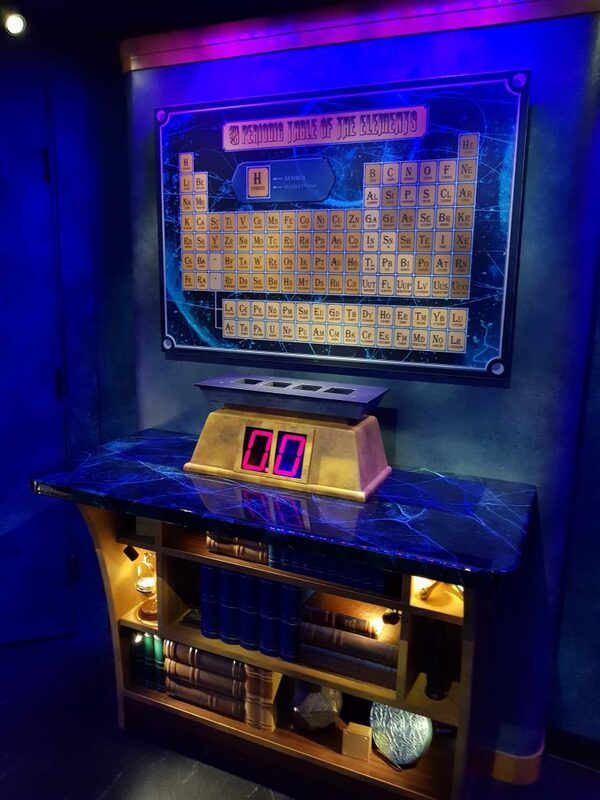 Groups are encouraged to unlock a series of cryptic clues and solve a number of puzzles within a certain time frame in order to find the professor who created the room. The design is otherworldly. 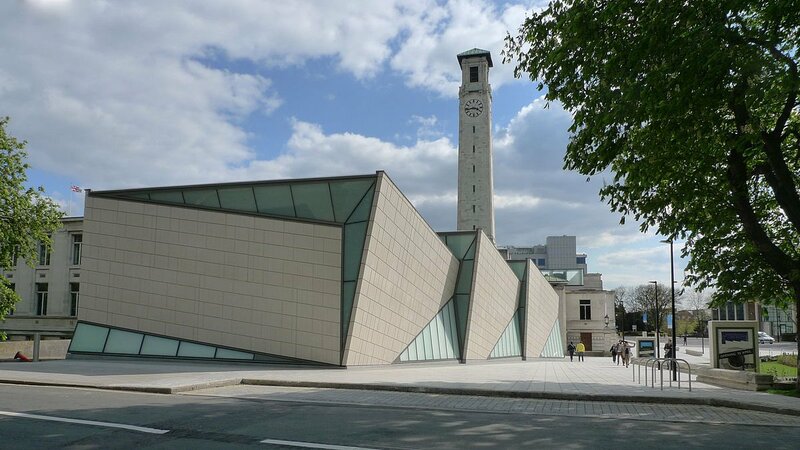 A large telescope dominates the centre of the room and puzzles are fixed to the side of the walls. I felt it had a bit of a Crystal Maze feel to it and I thought the concept was fresh and fun. The room holds a maximum of 12 people, but guests have to pay a fee to take part. 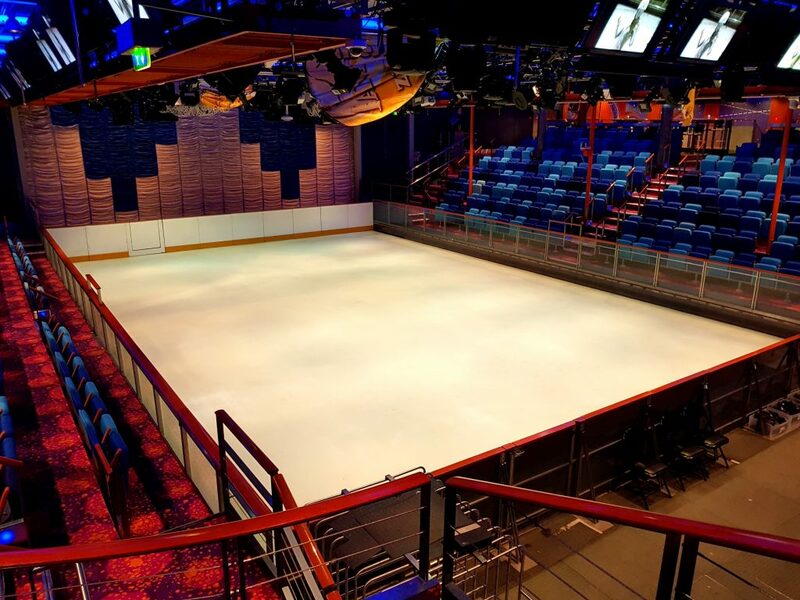 I didn’t get to see the Studio B ice rink last time but I really liked this space. During the day it transforms into an inflatable laser tag course. At night it plays host to spectacular ice show performances. I hear tickets go quickly for these shows and they are based on a first come, first served basis. I liked the layout of this room (which felt a bit like a theatre), and wherever you sit, you get a good view of the ice rink. 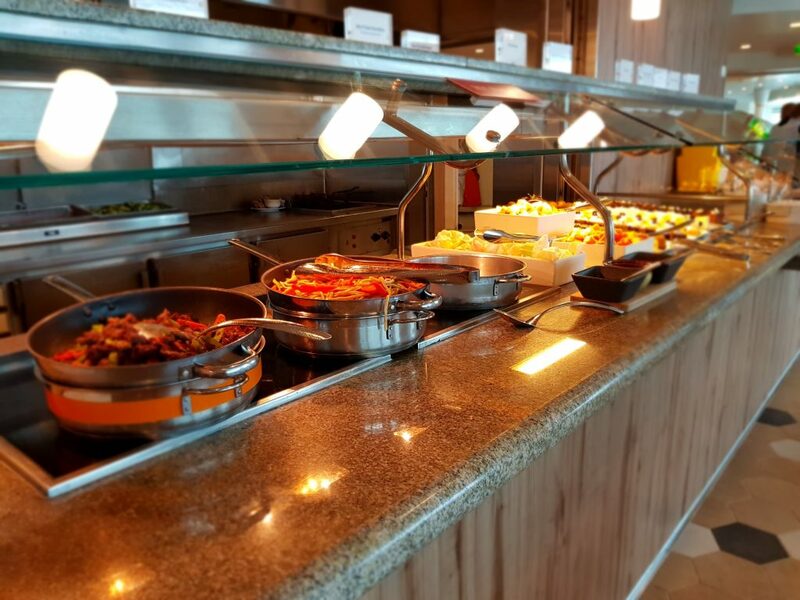 During my last visit I didn’t get the chance to have a proper look around the Windjammer buffet restaurant. 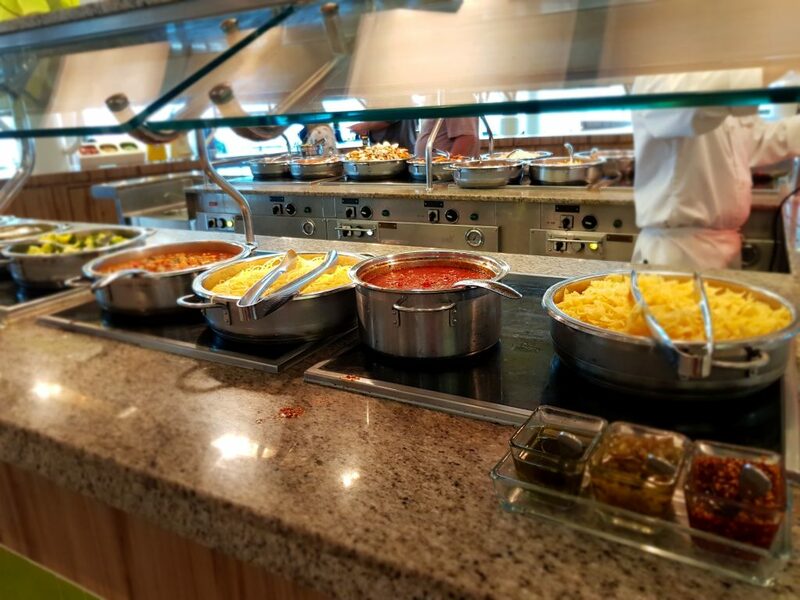 This time we walked around the whole room and I was very impressed with the different types of food on offer. Although the ship’s diner Johnny Rockets charges a fee, there is an American style buffet counter serving up hot dogs, burgers etc. which are free. 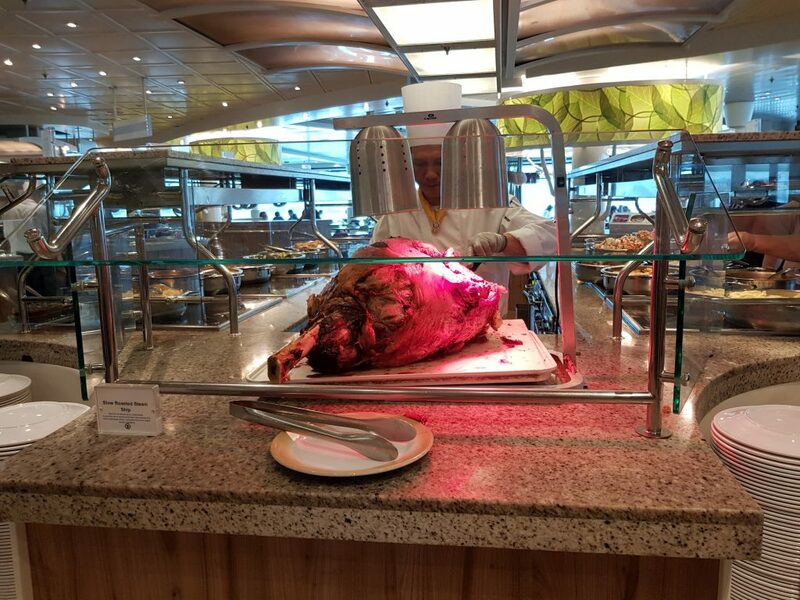 The carvery section had an enormous piece of beef waiting to be carved for ravenous guests, which looked delicious. 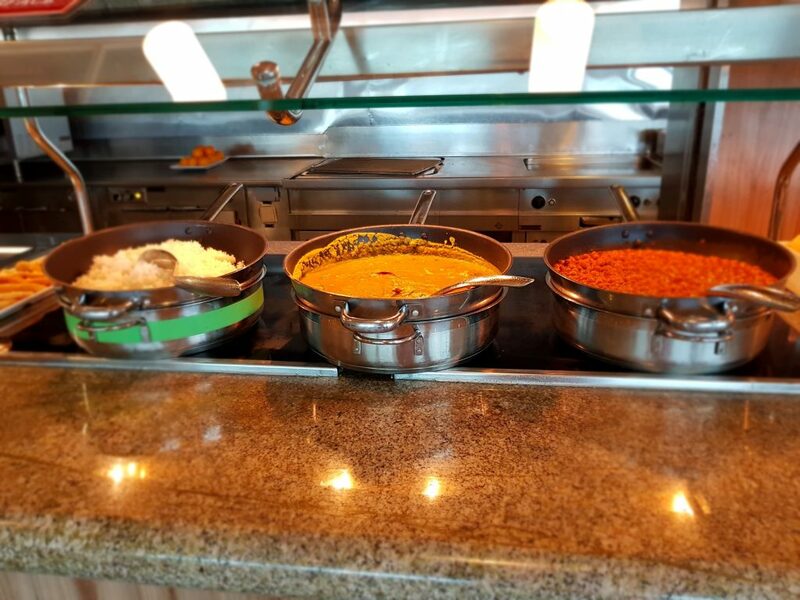 International fare included Asian, Indian, Japanese and Italian food. For those wanting a light lunch, salad options were plentiful and there was an enormous selection of desserts on offer. One of my friends has dietary requirements and she told me she thought the buffet’s dietary section was very good. I also liked the layout of the restaurant, with its colourful seating. 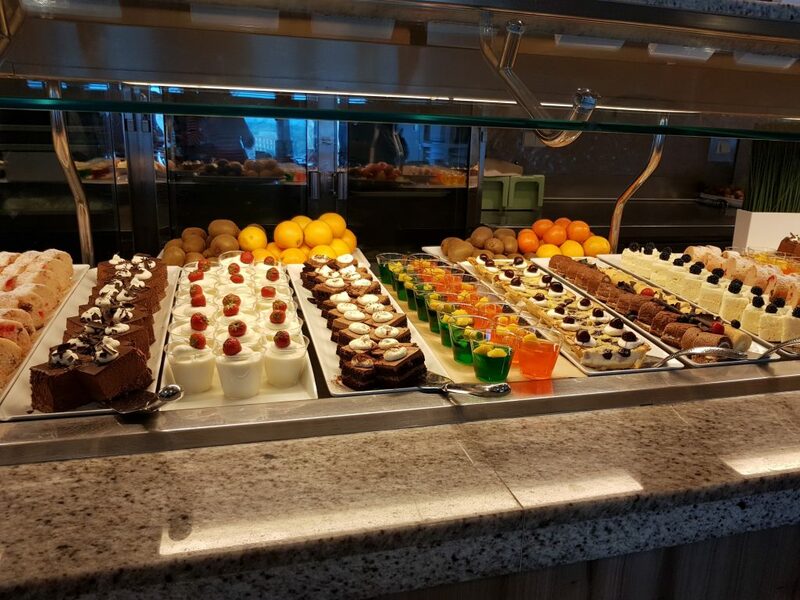 I would say that Independence of the Seas has the best selection of buffet food I have seen on a ship so far, bar Viking Star (which was exceptional). One other area I really liked was the gym, which is the largest cruise ship gym I have been in to date. The range of equipment was very good and there were plenty of machines for guests. 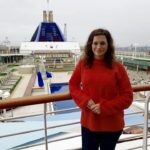 I really enjoyed having another look around Independence of the Seas and I am keen to explore more Royal Caribbean ships in the future. You can find out more about them via the official Royal Caribbean website. 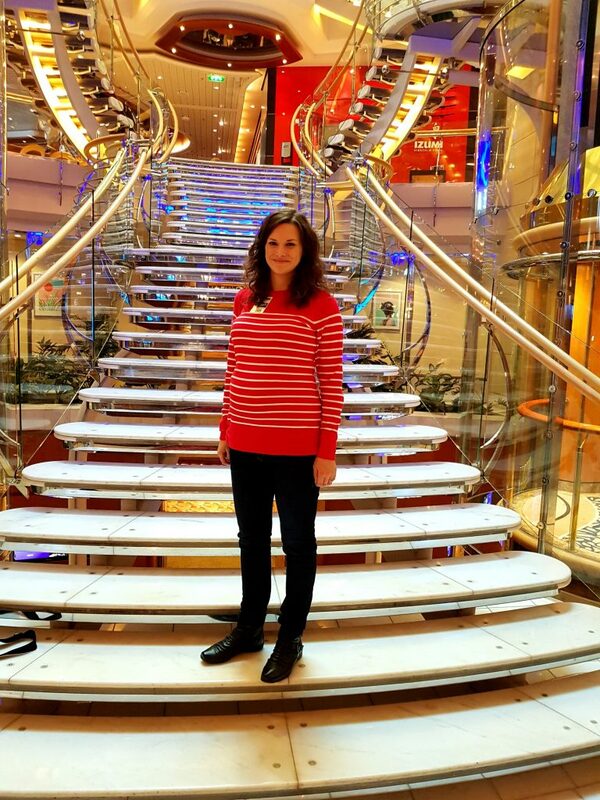 Alternatively, take a look at the rest of my Royal Caribbean posts on this website. 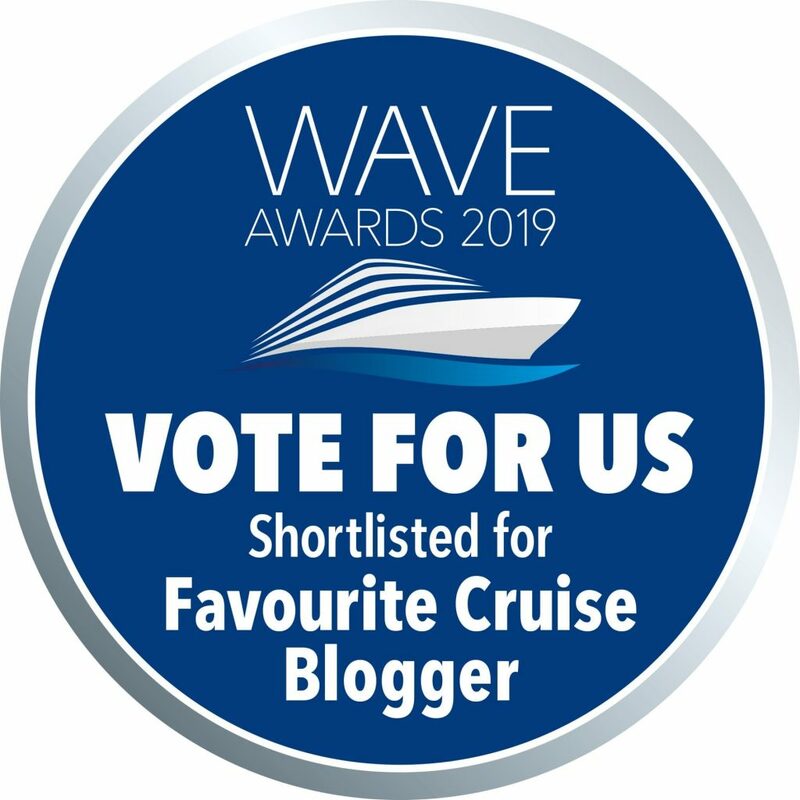 I have been shortlisted as ‘Favourite Cruise Blogger’ as part of World of Cruising’s Wave Awards 2019. Thank you to everyone who voted for me in the first round. Voting has started from scratch again, so any previous votes have been discounted now. 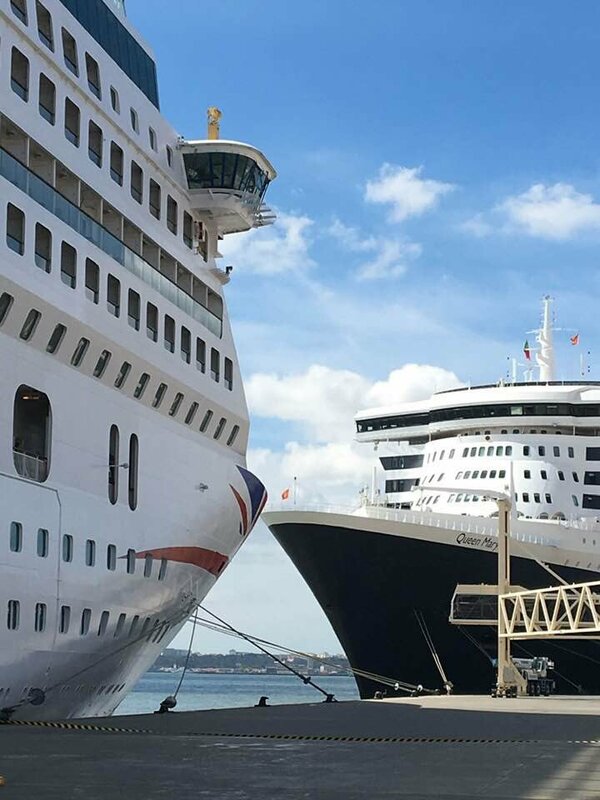 If you enjoy this blog, or simply want to vote for your favourite cruise line, you will find the voting form here. I would love to make it as a finalist! If you enter, you will automatically be entered into a free prize draw to win a cruise. Good review. We have been on the Indy six times and love the ship. 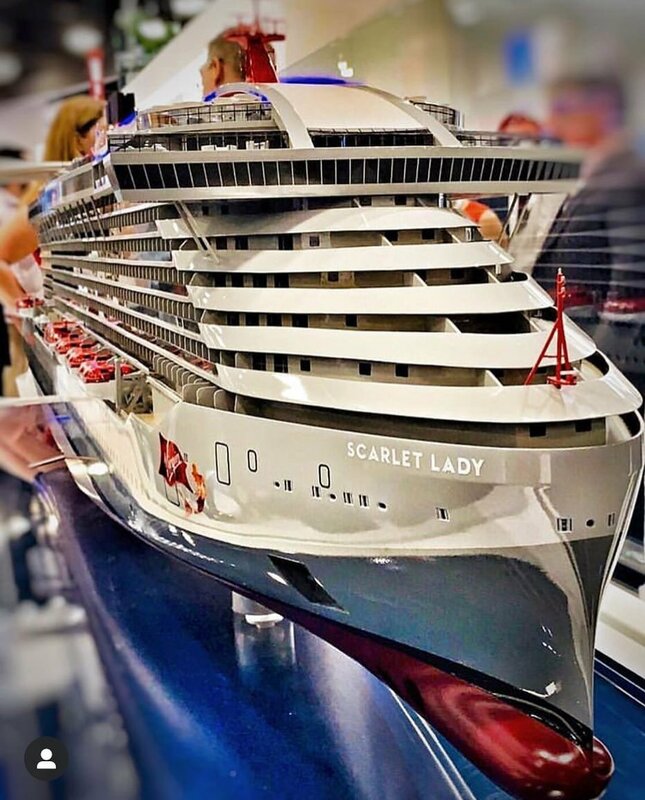 Unfortunately seating is a major issue now since extra cabins were added. I would still cruise on her but she is no longer a relaxing ship.